Looking north to Bechet Romania from Bulgaria over the long loading ramp. Keller Ferry, central Washington. Forrest on the North side scab land near desert on the south side. Okay here is a picture of the new one. Another great set of pictures Daniel. 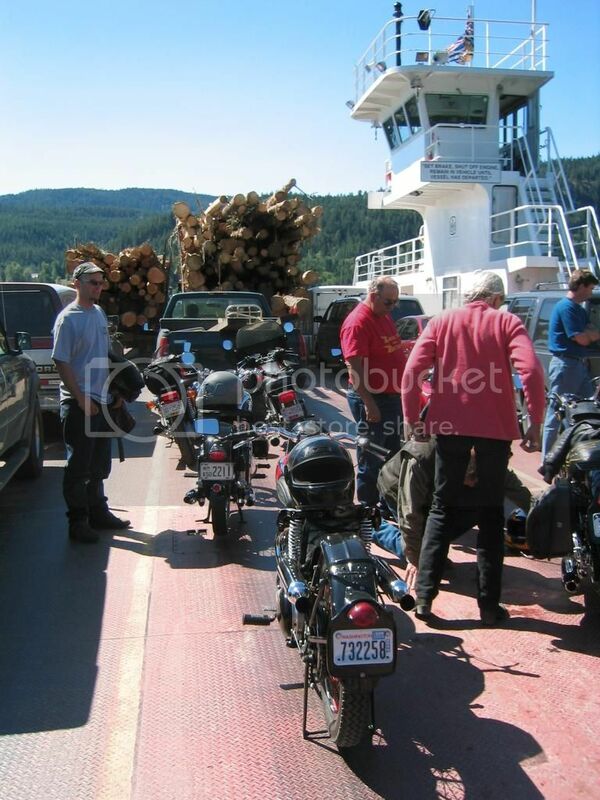 Here's one crossing the Columbia River on the Needles-Fauquier BC cable ferry. Sasquatch Jim's photo reminded me of another. 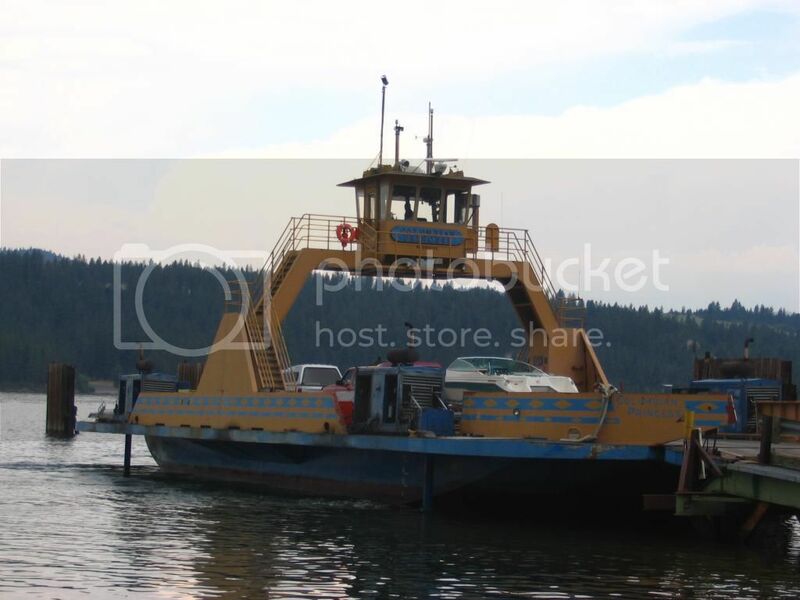 The Inchelium-Gifford ferry across the Columbia below Kettle Falls. 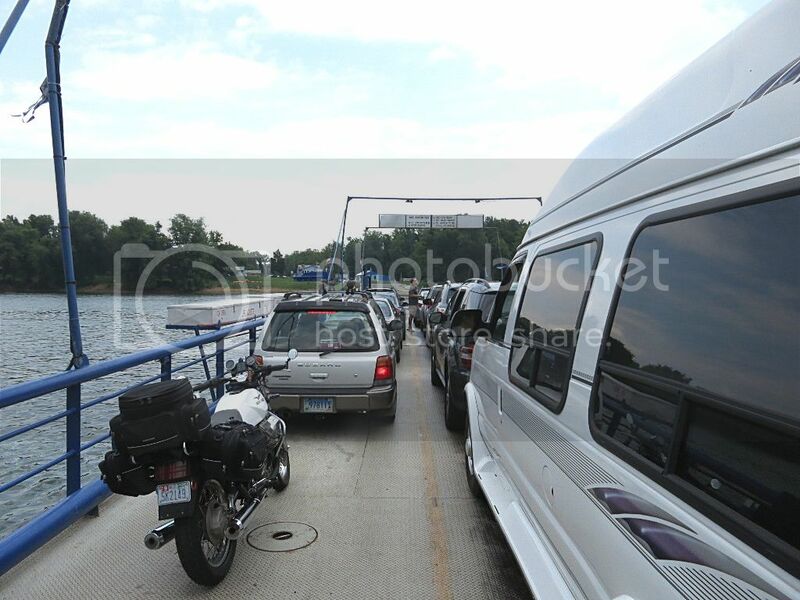 3 Guzzis on this ride, but we didn't cross. Interesting boat as it seems to be powered by 4 diesel outboards.